A new guest actor has been announced for the upcoming Japanese live-action special effects film, "Kamen Rider Amazons: The Final Chapter." According to the Tokusatsu Network, it has been announced that Nobuo Kyo will be joining the cast of the said film as a character named Mido Einosuke. Further detail about this character and what role he plays will be announced at a later date. Kyo's most notable role is Isshuu Kasumi, a.k.a. KuwagaRaiger, in the 26th "Super Sentai" series, "Ninpu Sentai Hurricaneger (Enduring Wind Squadron Hurricaneger)," which aired from 2002 to 2003. He has also starred as the human form of the monster Horse Fangire in the premiere episode of the 2008–2009 Japanese live-action special effects series, "Kamen Rider Kiva." The upcoming film will serve as the conclusion to the live-action web series "Kamen Rider Amazons" that streamed on Amazon Prime for two seasons from 2016 to 2017. It was officially announced in a teaser video shown after the theatrical premiere of the 2017 Japanese live-action special effects crossover film, "Kamen Rider Heisei Generations FINAL: Build & Ex-Aid with Legend Riders." A second teaser trailer was also recently shown during the 20th episode of the ongoing series, "Kamen Rider Build." The film will reportedly be bringing back cast members from the two seasons which include Tom Fujita as Haruka Mizusawa, a.k.a. Kamen Rider Amazon Omega; and Masashi Taniguchi as Jin Takayama, a.k.a. Kamen Rider Amazon Alpha. Other possible cast members include Rena Takeda, Ayu Higashi, Mitsutoshi Shundo, Kota Miura, Kanon Miyahara, and Kazuya Tanabe, Katsuya, Takako Kato, and Yu Kamio. No further detail has been released regarding the film's official synopsis and staff. Fans can watch out for updates on the official site. 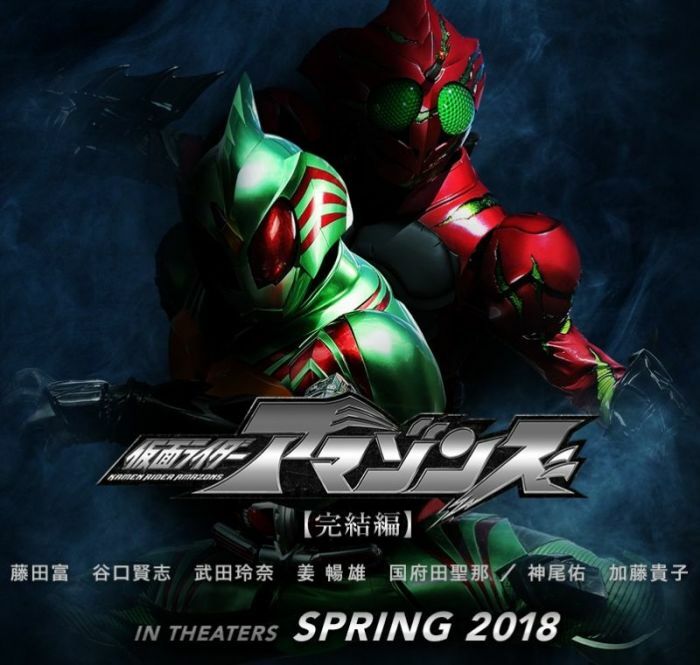 "Kamen Rider Amazons: The Final Chapter" is scheduled to be released sometime this spring.